China’s market economy has brought pros and cons to the women, says author Zhang Lijia of the bestseller Lotus: A Novel, on prostitution in China, to the BBC.“I think women have shouldered most of the cost and burden during the transition from a planned economy to the market economy,” she says. She is currently working on a book on the left-behind children in China. One critic of the reforms, social commentator and author Zhang Lijia, says that China’s shift from a planned economy to a market economy model has brought changes and opportunities for both men and women – particularly urban and educated women. But it has also brought setbacks, including job losses. 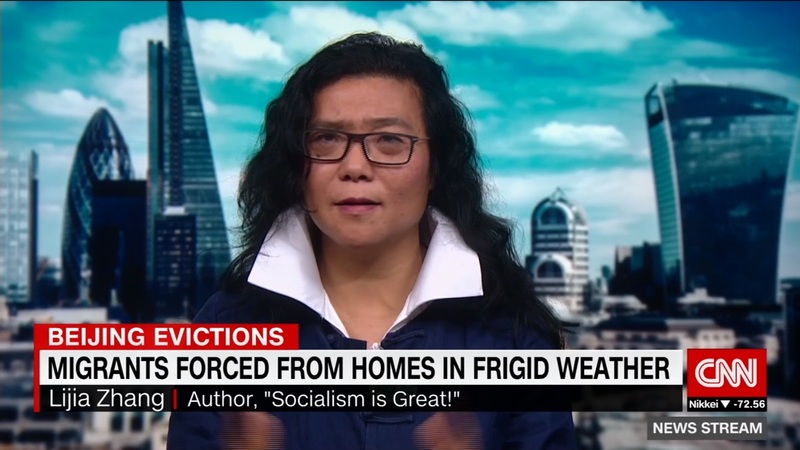 Zhang has personal experience of the changes that she wrote about it in her book, Socialism is Great. Growing up in Nanjing, the capital of China’s eastern Jiangsu province, she started working at a missile factory at the age of 16. The village she lived in served as a residential area for a local machinery factory, which was run by the Ministry of Aerospace Industry. “They had a rule that women [of] about 45 years old were let off from my worker unit,” she says, suggesting that this was a blanket rule in place at the factory. She thinks the shift to the market economy has allowed more businesses to get away with unscrupulous practices towards female workers in China. “Before, there was this kind of Maoist-style gender equality. Now it’s being replaced by open sexism,” she says. Recent figures show that women in China’s cities now earn 67.3% of what men make. Meanwhile, for women in the countryside, it’s even less at 56%. Zhang Lijia is a speaker at the China Speakers Bureau. Do you need her at your meeting or conference? Do get in touch or fill in our speakers’ request form. Are you looking for more experts on political change at the China Speakers Bureau? Do check out this list.